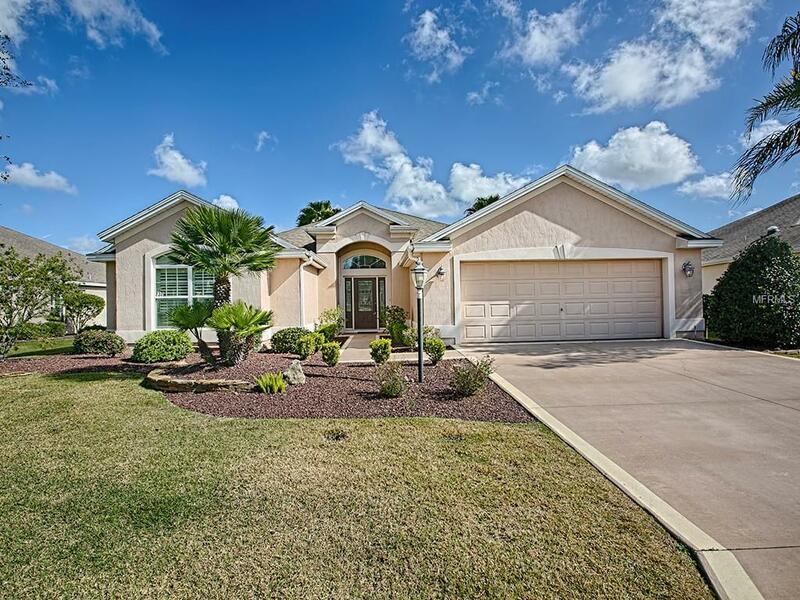 GORGEOUS CUSTOM 3/2 LANTANA W/BREATHTAKING CHAMPIONSHIP GOLF COURSE & WATER VIEW, GLASS ENCLOSED LANAI with SUMMER KITCHEN and OUTDOOR LIVING SPACE all situated in The VILLAGE OF HEMINGWAY. 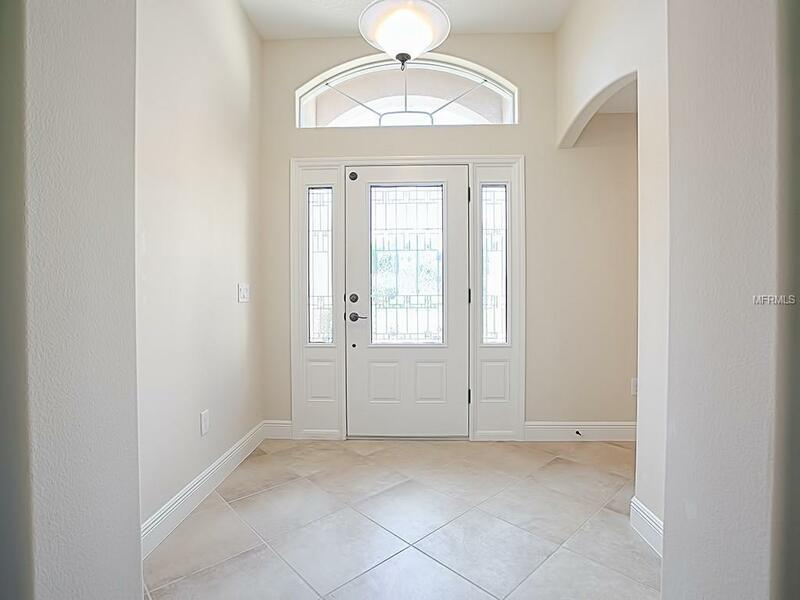 Enter the home and notice ROUNDED CORNERS & DIAGONAL TILE FLOORING in the foyer, entire living area, kitchen, walkways and baths. The kitchen features BEAUTIFUL STAIR STEP CHERRY CABINETRY w/under cabinet lighting, GLASS SUBWAY TILE BACKSPLASH, STAINLESS appliances, DOUBLE WALL OVEN w/ELECTRIC SMOOTH COOK TOP, WINE RACK and BREAKFAST BAR. Adjacent laundry room contains DOUBLE CLOSETS for extra storage. Matching GRANITE counter tops are found throughout the kitchen and baths. PLANTATION SHUTTERS are in the bedrooms, living/dining areas. The casual dining area off of the kitchen open w/sliding glass doors out to the fabulous SUMMER KITCHEN w/buried propane tank for the KitchenAid gas grill. 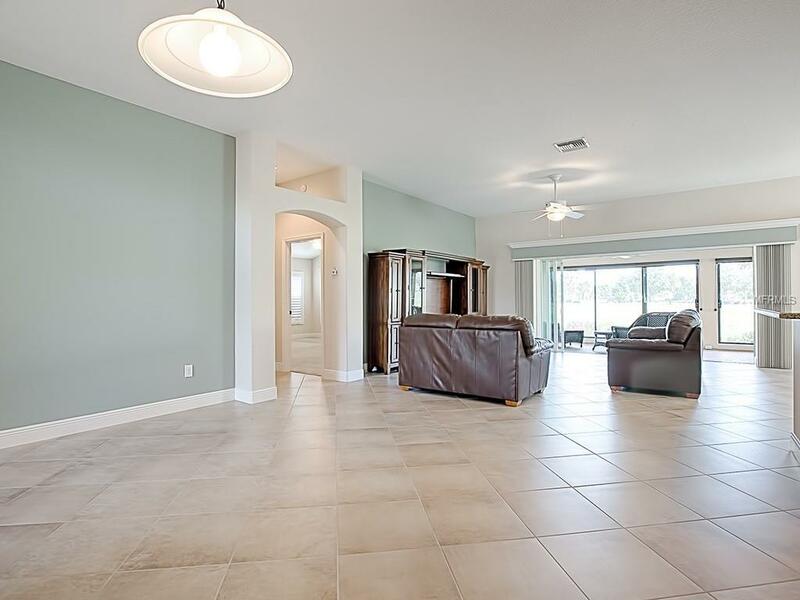 The SPACIOUS living room w/CUSTOM CORNICES open w/stack back sliding glass doors out to the ENCLOSED LANAI w/ ARISTOCRETE floors and BEAUTIFUL GOLF AND WATER VIEW that includes privacy shades & BIRDCAGE. 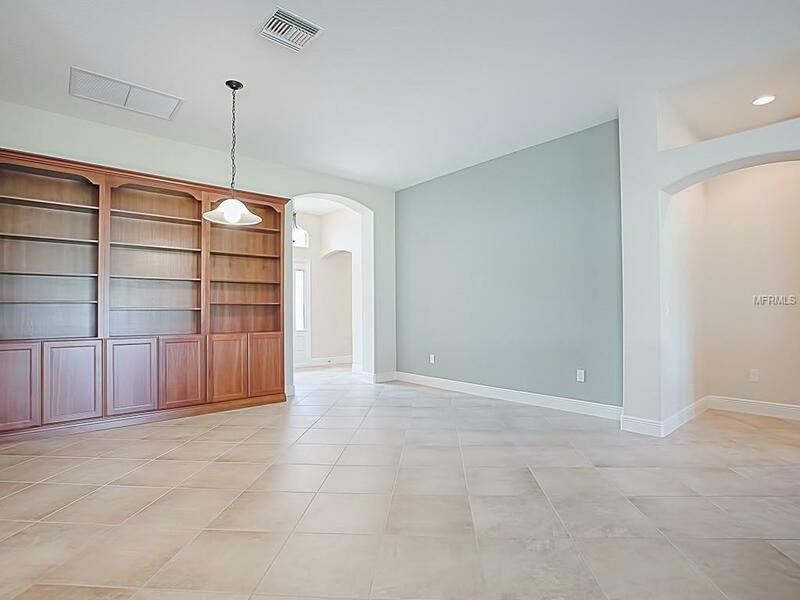 The master bedroom includes a LARGE walk-in closet w/custom built-in wood shelving. Master bath has dual sinks and lovely TILED WALK-IN SHOWER w/ vanity space and linen closet. Front guest room is expanded in front ... guest bath features tub/shower tile surround and solar tube for natural light. OVERSIZED garage includes insulated garage door, set tub & epoxy painted floor. GREAT LOCATION RIGHT AROUND THE CORNER FROM COLONY PLAZA!